For those who love coffee and the beverages that can be made with it, a dual coffee maker can be a great way to make lattes, espressos and more at home. That can really save you money over regular trips to local coffee shops. Because of that, these devices can be worth the price. Their versatility can add to the overall appeal because you'll be able to make different drinks at home. 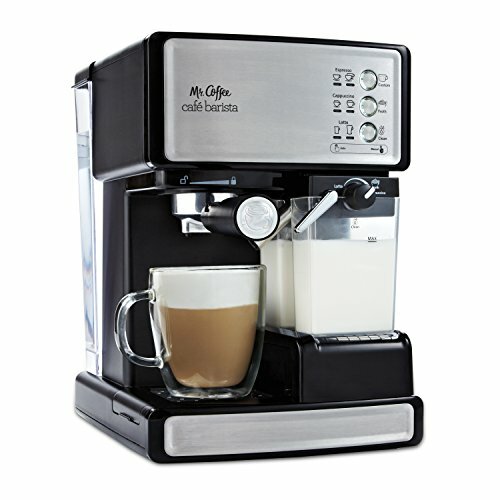 With that ability, you can feel like an at-home barista while keeping everyone's tastes fulfilled! To help you with choosing the perfect dual coffee maker, here are reviews on five highly popular options on the market today! 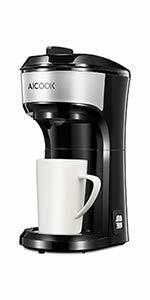 Related: Read our article about the best types of programmable coffee makers on the market today. Complete with reviews and comparisons. 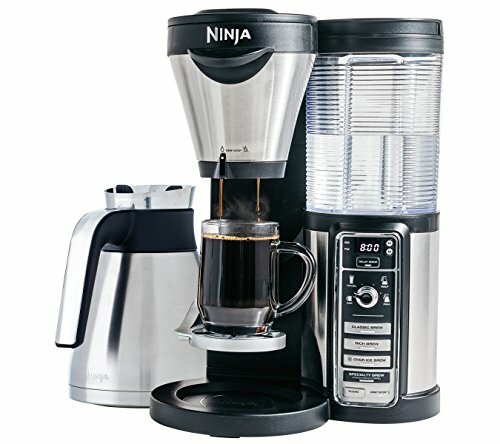 The Ninja system is one of the more expensive options in this list, but it works great as an all-in-one device for multiple kinds of coffee beverages. A truly unique feature of this device is that the size can be adjusted to fit mugs, travel mugs, XL options and for when you need to make multiple servings. It also includes a built-in frother for some of the fancier beverages out there. With all pod and capsule machines out there, it's nice to know there is something you can use that will work with regular coffee grounds. Many users have found this device to be very easy to use, allowing them to make high quality drinks with little effort. Some customers have had some trouble with getting it to work after cleaning, as the cleaning indicator light can remain on even after cleaning products have been used. In some cases, users can also find that it emits much more or less of a beverage than they requested. This compact little device is a great way to make several kinds of coffee beverages without breaking the bank. It comes at a relatively low cost, and can make espressos and lattes much easier to make. This machine is great in that it uses a removable water reservoir, which makes cleaning and filling much easier than some other devices. It also includes a milk frother, which means you won't need to purchase one separately. Going to a coffee shop for espressos or lattes regularly can really become an expensive habit, which is why the ability to make these drinks yourself can be very helpful. Many users also find that cleaning for this device is very easy, which just adds to the overall convenience. Some customers aren't a fan of the restriction that they have to use coffee pods or capsules for the device, as these can be more expensive than regular grounds. There can also sometimes be problems with the machine making loud noises or ceasing to froth correctly. This smooth-looking machine comes with a lot of ability as well as a very cool appearance. 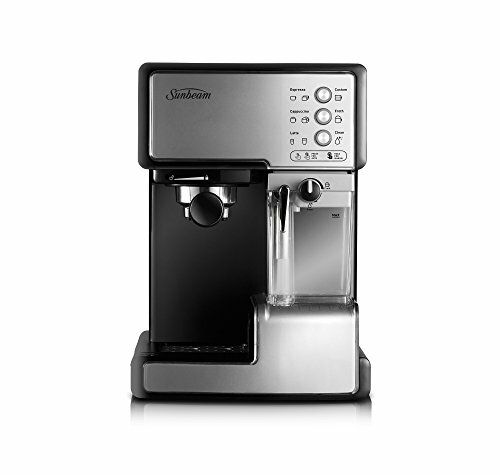 It's also one of the less costly options when you're looking for something that can make lattes, espressos and more! This device can make a wide variety of drinks, which makes it great for those who want to hone their coffee-making skills. It also uses an automatic temperature control to ensure that each cup is exactly the right temperature for the person drinking it. Many customers love the convenience that this device offers, as it heats up very quickly. This is great for those who want an espresso before work and don't want to wait too long. You'll also get a tamp and measuring tool for ensuring that every cup is perfect each time. One of the biggest issues that customers can experience with this machine is leaks, so make sure that you watch carefully during the first few uses to ensure that there is no water or coffee leaking out during the process. 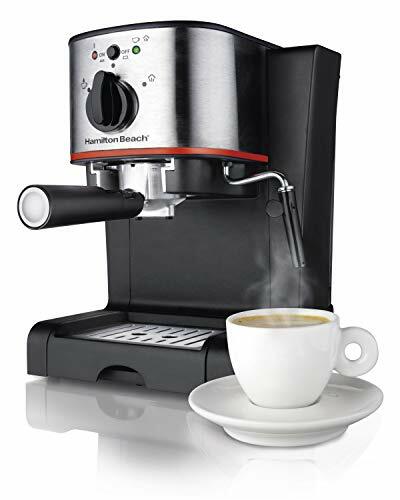 For those who are looking to make their own coffee drinks at home at a lower cost, this machine is available from several sellers at budget-friendly prices when compared to other options. 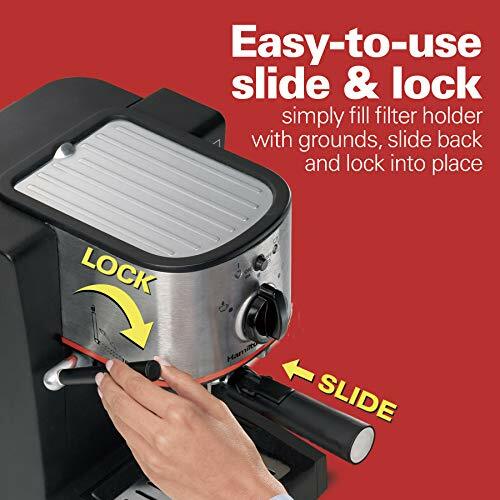 This device has a simple design that includes both a frother and steam wand so that you can make cappuccino and espresso type drinks with minimal effort. Setup and use for this device is made to be easy, allowing customers convenience and savings. One of the benefits that many find with this device is that it's very good at making crema, a necessary addition to certain drinks. Users also find that the drinks brewed using this device are very delicious and enjoyable. Some customers can find that this coffee maker can start to make loud noises after a few uses, which may signify that something is wrong. There have also been some situations where the beverages emitted are lukewarm at best. 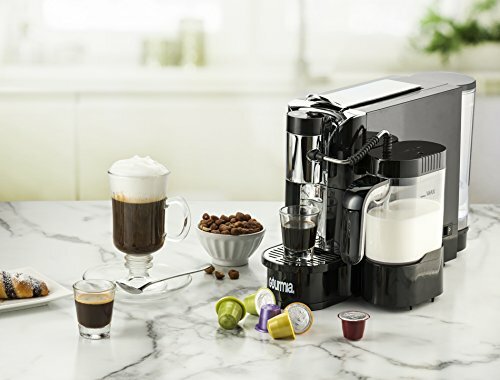 The Gourmia is a fantastic middle-of-the-road option for those who want to make a variety of coffee beverages, including those that make use of Nespresso capsules. Using this coffee maker, you'll be able to make lattes, cappuccinos, espressos and more, making it a highly versatile and useful machine. It's also ETL certified so you'll be able to trust that the device is safe and high-quality. For those who love Nespresso capsules, this is also a lower cost way to be able to enjoy those as well. Because this is such a compact device, it will be able to fit into smaller homes and spaces. Because of that, you'll still be able to get high quality coffee drinks without having to worry about a lot of extra clutter in your kitchen. It's also made to be easy to clean. Some customers have noticed some problems with this device, including that it may dispense more or less of a drink than you have requested. In some cases, it can also stop accepting certain kinds of pods or capsules without apparent reason, so make sure to keep an eye on it when using these coffee methods. At the top of this list sits the Aicok. 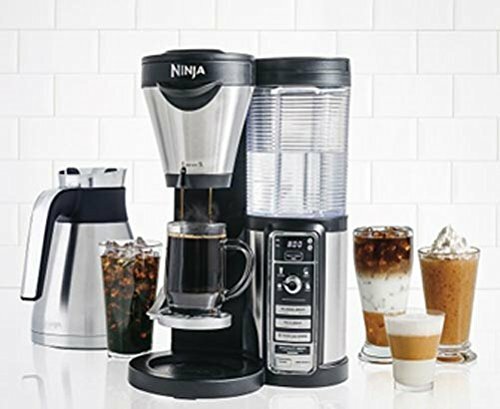 Though the rating is tied with the Mr. Coffee device, it offers the extras and overall design that earn it a slightly higher spot on this list. It's able to make a wide variety of drinks and includes a two-year warranty for added protection. If that doesn't seem like the ideal device for you, the others in this list are also highly rated and praised. It's truly hard to go wrong with any of them, and they can all work very well to save money over frequent coffee shop visits. Fun Facts: If you've always wondered who invented the coffee machine you should read this!